We liveblogged Microsoft’s gamescom 2015 press conference, but just in case you missed it, we have posted all the lovely announcements here in one massive post. An on-demand version of the conference is at the bottom of the post, in case you missed it earlier. 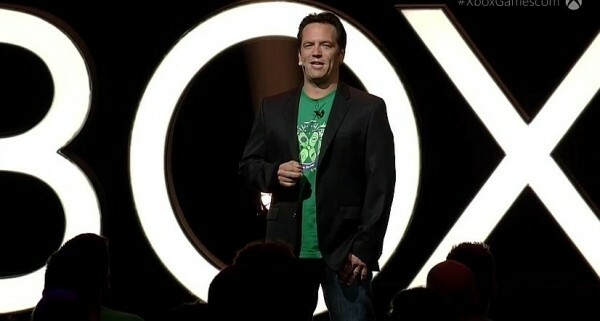 Xbox boss Phil Spencer opened the press event discussing what Microsoft is bringing to the gaming table this year. After he finished his opening speech, a new trailer for Remedy’s Quantum Break was shown. After the video finished, Remedy’s creative director Sam Lake stepped on the stage along with actor Shawn Ashmore who played Iceman in X-Men: Days of Future Past. He will be playing Jack Joyce in the television series which will run tangent to the game. The show will also star Games of Thrones’ Lord Petyr “Littlefinger” Baelish, known in real-life as Aidan Gillen. As previously announced, fans of LOST and the Lord of the Rings films will see Dominic Monaghan starring in the show as well. Quantum Break will be released exclusively on Xbox One April 5, 2016. 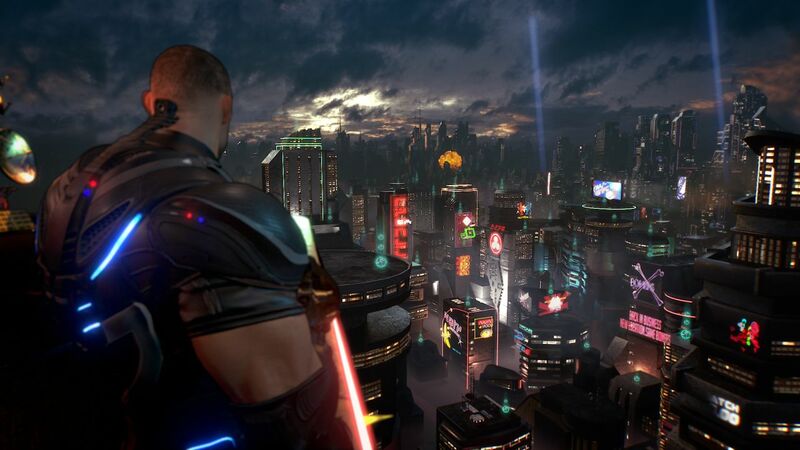 Crackdown 3 was shown next by the original game’s creator Dave Jones. The video described the new games as the “ultimate sandbox” which would “blow up the way you play games” in multiplayer. Servers will be on the Cloud with 20 times the computation of the power of Xbox One. Platinum Games’ Hideki Kamiya showed the first gameplay for Scalebound. It appears the hack-and-slash battle style Platinum is known for will be center stage along with melee weapons, and of course the help of your dragon buddy. Along with human enemies scattered throughout the lush world, there will be large enemy creatures which can actually toss your dragon around. It will feature four-player co-op and it is out during holiday 2016. Ark: Survival Evolved, the hit game on Steam, will be releasing on Windows 10 and Xbox One. Rivals of Aether, Starbound, Thimbleweed Park, and We Happy Few and other ID@Xbox indie tiles are all coming in 2016. Sheltered is out today, Ark: Survival Evolved is also coming to PS4, and it will be included in the Xbox Preview Program. A trailer for We Happy Few was released along with one for Cities: Skylines which was also announced today for Xbox One. It will release on the console ahead of the PS4 release. Every ID@Xbox game will ship on Xbox One and W10 from here on out. A beta for Minecraft: Windows 10 Edition launched a week ago and players have already traveled 826 million meters in-game. All owners of the game will get the W10 version for free. More features will be released for the beta this fall. Cobalt is coming to Xbox One as a console exclusive this October from Mojang. The game was revealed back in 2013, and features single-player as well as co-op support. The game is an action-platformer and was built for couch co-op and will also be released for Windows 10. 100 games are being developed using DirectX 12 from studios such as Epic and Stardock. The Square Enix DX12 tech demo, Witch Chapter 0 [cry], was shown again. It’s still lovely, but you’ve seen it before. Bloodstained which raised over $5m via Kickstarter, will be cross play compatible through Win 10 and Xbox One. A demon hunter character was introduced by developer Koji Igarashi (Mr. Castlevania) on stage during the show. The character uses dual swords and spells. No name on the fella just yet. Killer Instinct for Windows 10 will be feature cross platform play on Xbox One and W10 PC and season 3 is out March 2016 for both Xbox One and Win 10. It will also feature Battletoads characters. From Software and Bandai Namco’s Dark Souls 3 was shown in a spanking new trailer. It’s out next year. Xbox players get a free Legend Card for FIFA 16 Ultimate Team and 10% off Ultimate Team items only on Xbox One. FIFA 16 bundles including EA Access, three Loan Legends are coming in 500GB and 1TB models. Homefront: The Revolution is coming in MP beta with exclusive early access to Xbox One. The game casts America as a dictatorship reigned by brutal, hyper-violent armed officers. The 1TB Halo 5 Xbox One is available to pre-order today. It’s just 85 days until Halo 5 is released, and Microsoft is going heavy on the hype with more than one Xbox One bundle. Check out the GAME UK exclusive Pink Mist bundle here. Speaking of Halo 5, a new gameplay video also debuted during the show. An eSports Halo World Championship with a prize pool of $1 million is happening this winter. Dan Greenawalt from Turn 10 came on stage to show off Forza 6, which contains 450 cars and all have working cockpits and parts. And full customization. 224-player races on dedicated servers, ranked leagues and divisions based on speed and professionalism. Top racers for top prizes. 148 driveable surfaces will be present, all with unique values for wet and dry. So expect lots of rain. A new clip for Rainbow 6 Siege was shown, giving viewers a look at the new Harbor Map. Rainbow Six Siege is out October 13 on PC, PlayStation 4 and Xbox One. If you pre-order on Xbox One, you get instant access to the Xbox 360 versions of Rainbow Six Vegas and Vegas 2 via backwards compatibility. There was also a new Just Cause 3 video shown, and yes, it was full of explosions. A Rise of the Tomb Raider gameplay video was one of the highlights of the show, giving players a look at enemies and some tombs. Crystal Dynamics reiterated players can earn upgrades, craft ammo and “master new” skills while at basecamp. Lara can be customized by playstyle as well. In fall 2016, Halo Wars 2 will be released and it’s being co-developed by 343 and The Creative Assembly. The crowd really cheered when this bit of new was announced. Rumors of a DVR function coming to Xbox One later this year were confirmed by Microsoft at gamecom 2015 this morning. The function will be coming free of subscription later this year and allows users to record TV programs. The firm also introduced an Xbox One chat pad which is tiny keyboard. It attaches to your Xbox One controller and will be made available in November. Finally, there have been 3 million votes for Xbox backwards compatibility games so far. Microsoft said all Xbox 360 Games with Gold titles will be backwards compatible on Xbox One at launch. There will be over 100 available when the service launches in November.